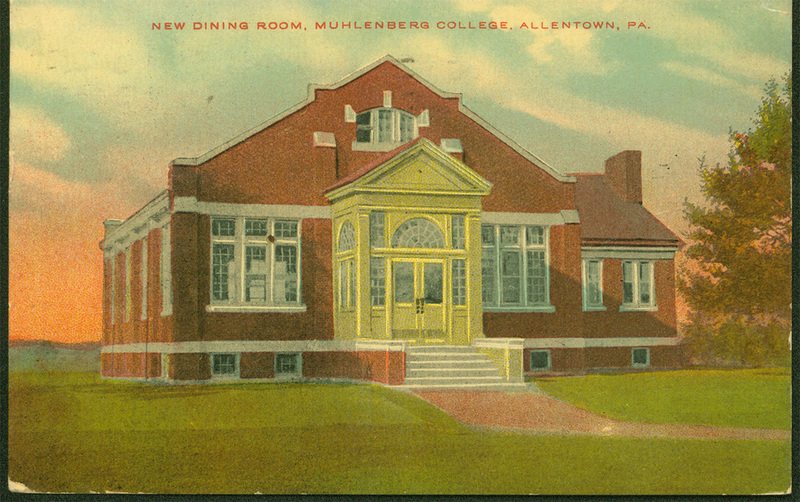 Prior to the construction of what is now Walson Hall, students at Muhlenberg in the first decade of the twentieth century obtained their meals at nearby hotels and boarding houses, as the College had no accommodations for serving food. 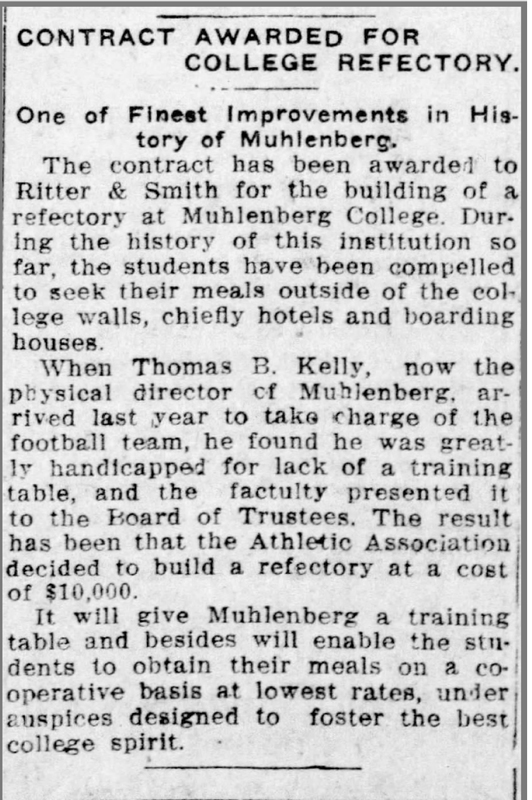 The driving force behind the construction of a refectory, or dining commons, was Coach Thomas Kelly, who insisted that his football players be able to follow a consistent meal regimen. 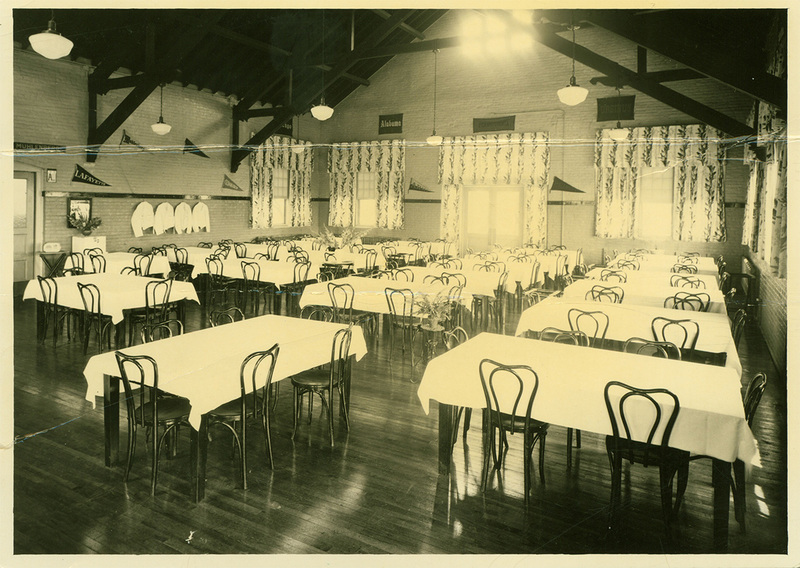 In early 1912, the Board of Trustees approved the $10,000 construction project, and by the fall of 1912 the refectory, soon thereafter known as the Dining Commons, was completed. 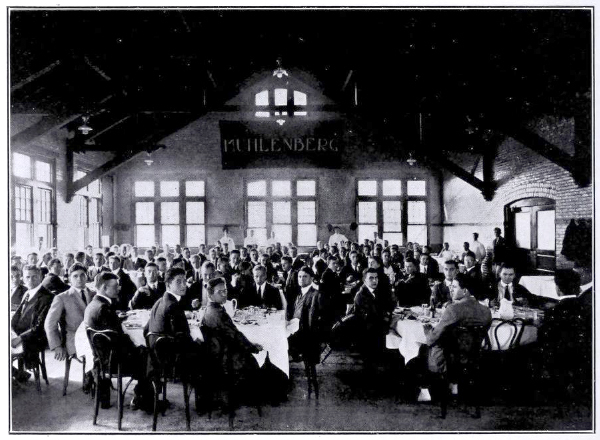 The building was designed by the Allentown firm of Ruhe and Lange, who also designed the original campus buildings at Chew Street in 1904: the Ettinger Building, East Hall, and Gabriel House. It was constructed by the firm of Ritter and Smith and comprises the core brick structure that can be seen today. 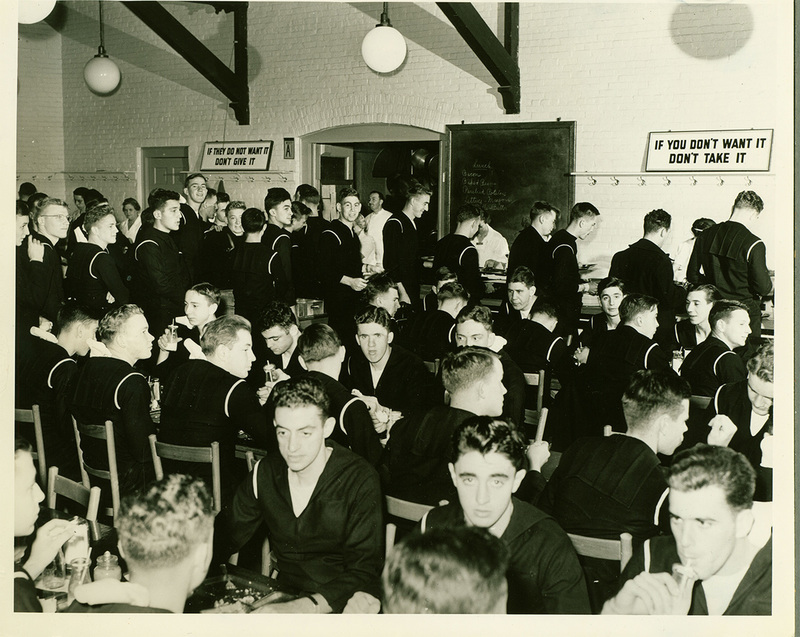 The kitchen was on the north side of the building, and contained the most modern conveniences: a dish warmer and an ice cream stand holder. 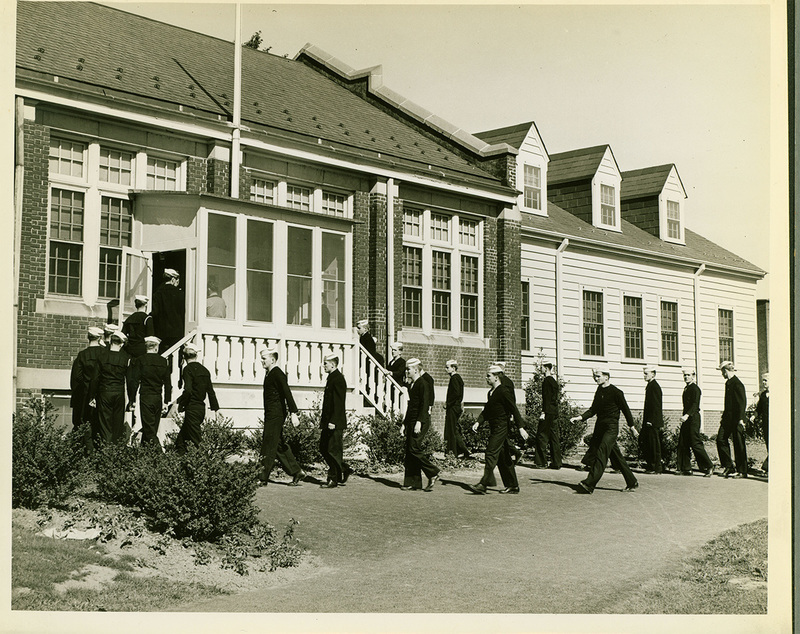 The Commons grew to the size we see today in 1943: the advent of the Navy V-12 Training Program meant the need for expanded facilities, and the two wooden extensions were added to double the size of the dining hall. The new wings also included an office for a dietician, as well as check rooms and waiting areas. 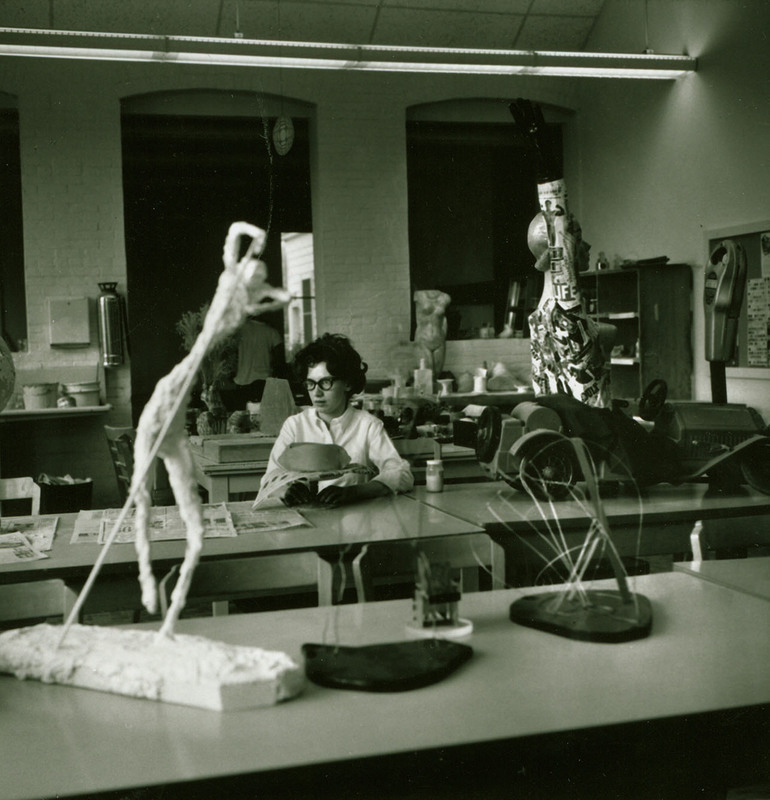 When Seegers Union was completed in 1963, the old Commons was utilized by the Art department. 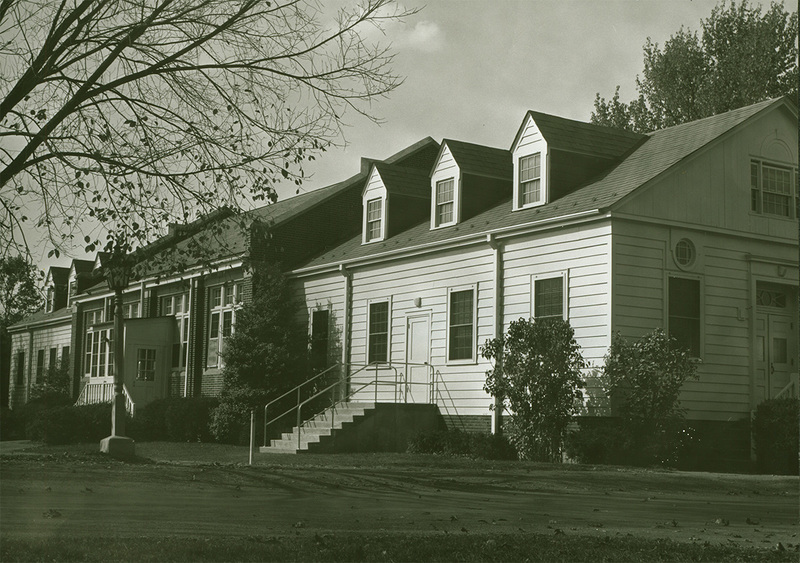 Over the years, it also housed the Anthropology, Philosophy, and Psychology departments. 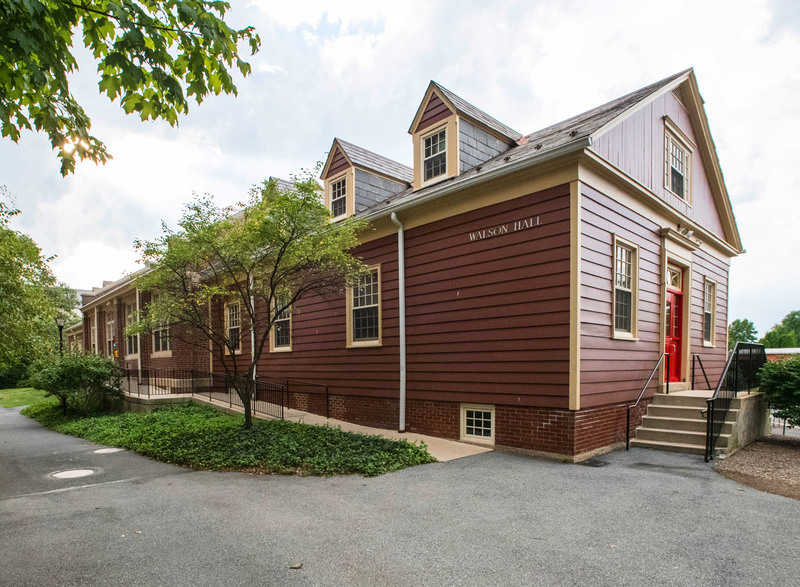 The building currently houses WMUH, the Media-Communications and Film Studies departments, and campus housekeeping. In October 2002, the Commons was renamed for John and Margaret Walson, founders of Service Electric, the nation's first cable company. 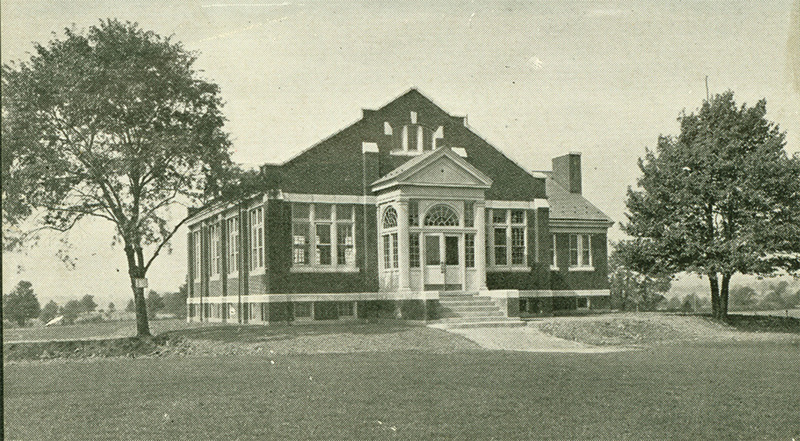 Special Collections and Archives, Trexler Library, Muhlenberg College, “John and Margaret Walson Communication Hall (1912),” Muhlenberg Pathways to Present, accessed April 23, 2019, http://pathways.trexlerworks.muhlenberg.edu/items/show/16.